WASHINGTON (Reuters) – A group of investors led by hedge fund Perry Capital LLC sued the U.S. Treasury in federal court on Sunday to challenge the 2012 changes of the bailout terms set for government-owned mortgage firms Fannie Mae and Freddie Mac. The new arrangement prevents the firms from building capital that might have allowed them to redeem the government shares and eventually operate independently to the benefit of private shareholders. The bailout agreement provides no mechanism for Fannie Mae and Freddie Mac to repay the $187.5 billion they owe the government from their 2008 bailout. The two companies have returned to profitability, and by the end of June, had paid about $132 billion in dividends to taxpayers. 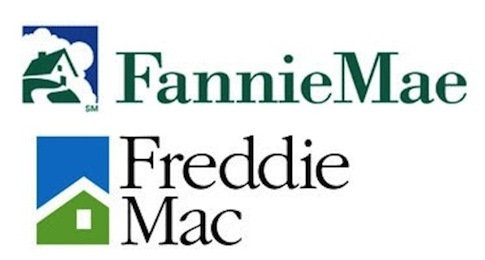 Their financial health has prompted investors to snap up the preferred stock of Fannie Mae and Freddie Mac in a bet they will be made private companies in the future. "This lawsuit seeks to uphold the rule of law," Theodore Olson, a partner at the law firm Gibson, Dunn & Crutcher and a former U.S. solicitor general, said in a statement. He said the 2008 Housing and Economic Recovery Act, known as HERA, established specific rules about the government's limits and obligations under conservatorship. Profits at Fannie Mae and Freddie Mac have also led Perry Capital and other hedge funds including Paulson & Co. to push Congress to consider a privatization of the two mortgage financiers to boost the value of preferred shares they have bought. "Investors had every right to expect these rules to be followed," Olson added. Republicans and Democrats, along with President Barack Obama, want to abolish both mortgage companies, but have yet to agree on the right approach. A bipartisan group of U.S. senators last month introduced a bill that would liquidate the companies and replace them with a government reinsurer of mortgage securities that would backstop private capital in a crisis. Fannie Mae and Freddie Mac do not make loans but instead buy them from lenders and package them as bonds, and guarantee them against default. A key part of the housing system, the two mortgage financiers own or back about half of all U.S. home loans. Perry Capital manages investment funds for the benefit of retirement plans, university endowments, foundations, insurance companies and other institutional and private investors. Perry Capital has made significant investments in many different housing related securities, according to a press release. "What we're seeking is to require Treasury and the FHFA to obey the rules set forth in the Housing and Economic Recovery Act" of 2008, a lawyer involved in the litigation, speaking on condition of anonymity, told reporters on a conference call. "There are no damages being sought." This entry was posted in National Security and tagged Fannie Mae, Federal Bureaucracy, Freddie Mac. Bookmark the permalink.